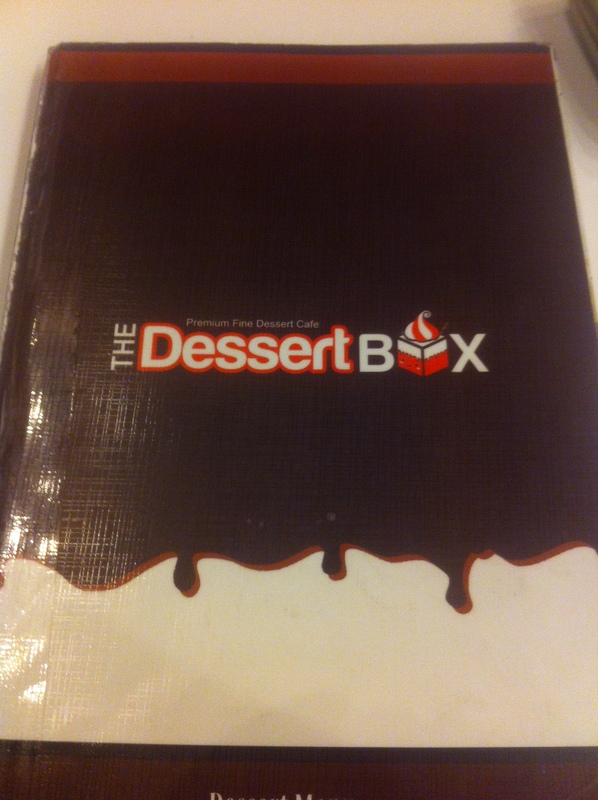 The Dessert Box sells a wide range of desserts from crepes, waffles, pancakes to ice-cream, fondue and drinks such as coffee. The actual restaurant however is very small, so seating is very limited. They do provide outdoor dining but we decided to sit inside to avoid the winter cold. This failed however, because we were given the worst table possible. It was about a metre directly in front of the door so the wind kept blowing in and out of the restaurant. The staff were very inattentive as well; some customers left without closing the door and it was left open from time to time. We also asked for water and the waitress told us to get it ourselves despite it being a metre away from her, which she could’ve easily walked over and retrieved it for us. The food isn’t that great either, especially for its ridiculous prices. These little factors really add up and I just don’t think I will be coming back. Green Tea Mousse ($12.80) – w/ red bean paste and almond flavoured jelly, serving w/ green tea ice cream and green tea sponge, garnishing w/ strawberry. When the plate came to our table I was very displeased because they didn’t give us green tea ice-cream, despite its menu description explicitly stating that it is served with ice cream. 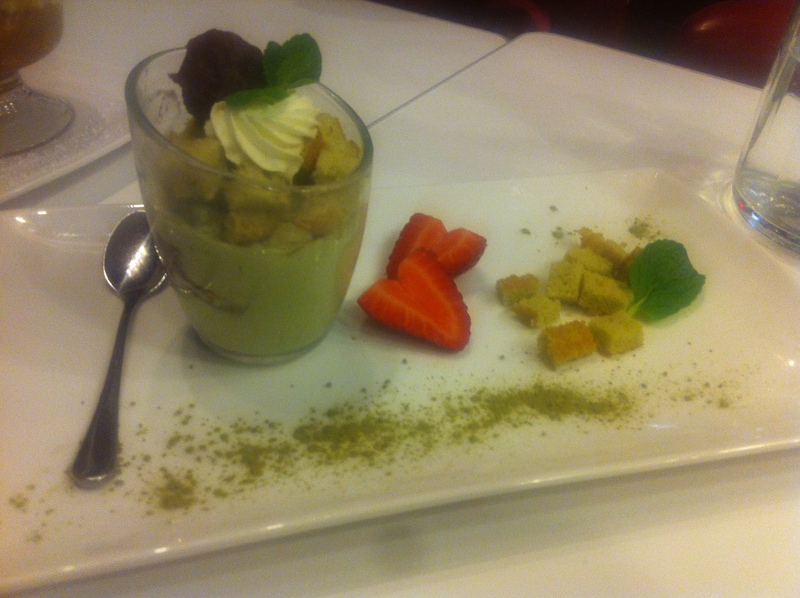 The mousse had a great green-tea flavour however the texture wasn’t right. It melted really quickly and was more like a green-tea milkshake. The sponge didn’t have much flavour, but it did add a bit of texture to the dish. Pretty presentation but I wouldn’t want to pay another $13 for a little cup of green tea liquid, a teaspoon of red bean and some little sponges. 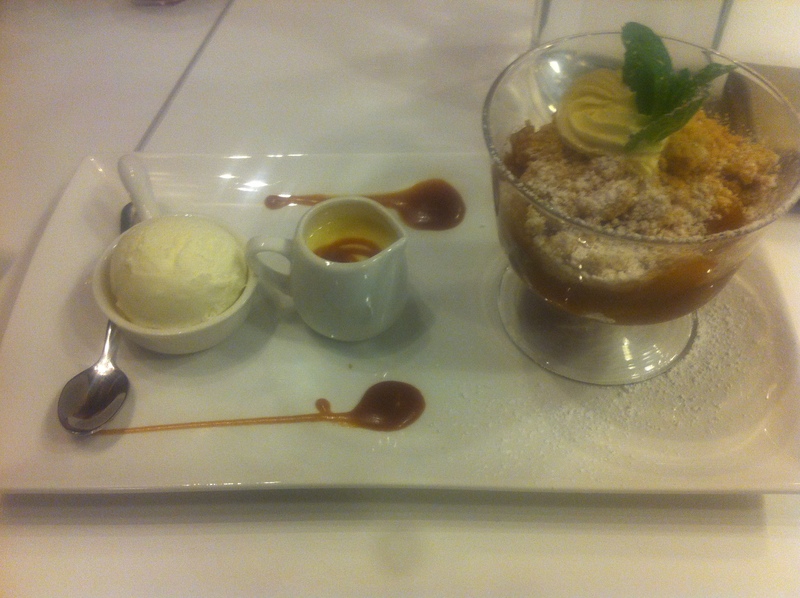 Hot Apple Crumble ($12.80) – w/ vanilla ice cream, caramel sauce and custard sauce. This dessert was somewhat more enjoyable. The ice-cream had a very strong vanilla flavour while the custard had no flavour at all (it felt like I was eating air). The apple crumble was warm and tasty. The caramel sauce tasted more like toffee, which was mediocre. I thought the dish was quite nice, but not worth the price. that’s a surprise. Because when I went there they were really great. That’s a surprise you haven’t bought the discount book!